What child doesn’t like slime? Every time Meme (who is aged 8) is invited to a play date or party she tends to come home with a bag full of slime, much to Harri’s excitement. As for me, I am not that into it as you can imagine. However, when we were given the opportunity to review some Glam Goo products I have to admit that I was a little intrigued. 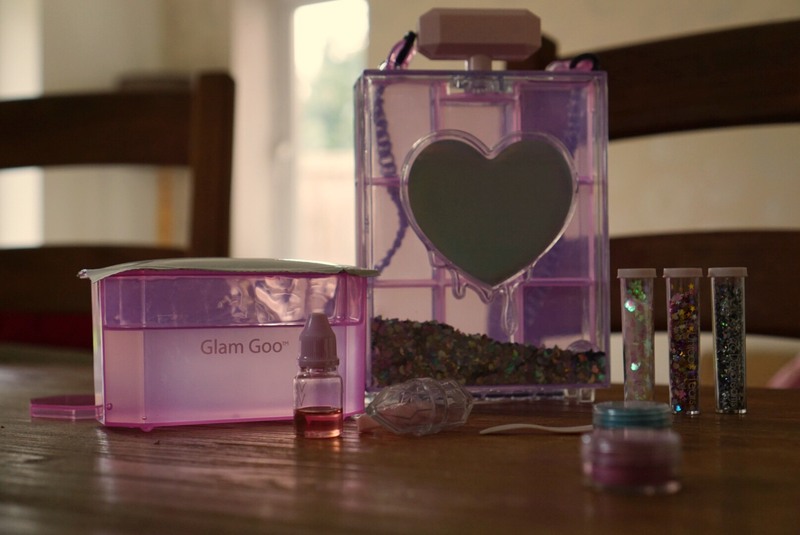 Glam Goo is fashionable DIY slime. Confused? Well so was I until I received the products and it is actually such a great idea. 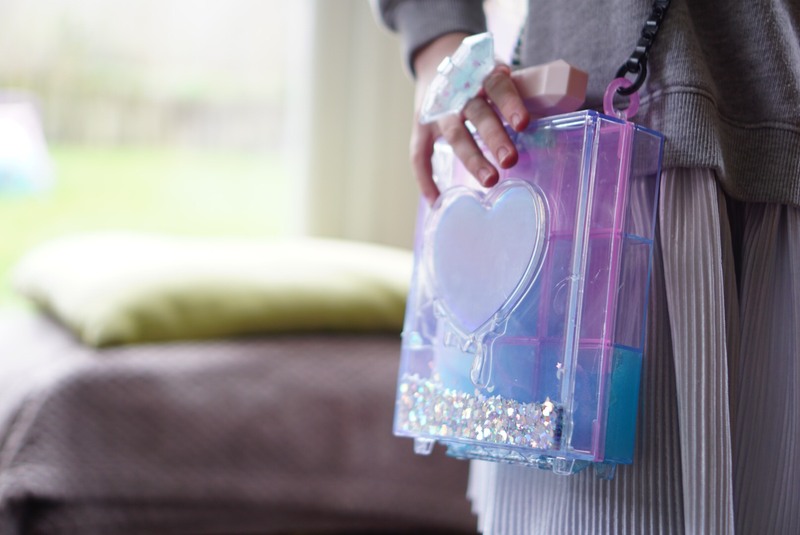 The idea of Glam Goo is that you decorate adding different colours and sparkle to you slime and and fill a section of the handbag and ring (provided) with it, matching your mood or your outfit. My girls were pretty excited to get started, especially my little fashionista Harri. We opened the pack of slime and started to add some sparkles, Meme choosing the white ones and Harri putting a bit of everything in. I need to mention that this slime was so sticky that it was really hard to hold or mix. A tip on the instruction sheet (which I wish I had read before starting to play with it!) is to dilute a pinch of baking soda into a small bowl of water and add slowly to the slime until it reaches the desired consistency. I would definitely recommend this, just to make it a little easier to use. 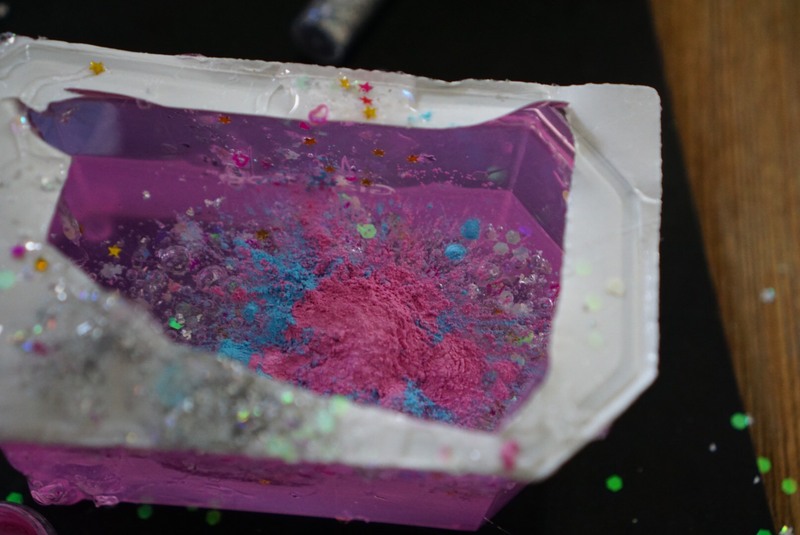 My girls had lots of fun and once it was sparkly and coloured to their preference we started to fill the handbag with the goo. We actually put it in the wrong side of the bag at first but once we realised it was easy enough to correct. My girls were made up with their new handbag and quickly used the rest of their slime to fill their ring to match. It was a really fun activity and the girls were so excited to use their new bags the next day. It would have been nice to separate the slime and make it different colours but it was just too sticky. My girls are eager to try more from the Glam Goo range and so am I, as soon as I have bought some baking soda!! We were sent these products in exchange for a honest review! Slime always sounds like a good idea. Like seriously, slime has no age gap. It is so great to calm down the stress and feel a little relief from the everyday life. I love smashing slime. Wow! This is so awesome and kid fabulous, wish I had this when I was a child. 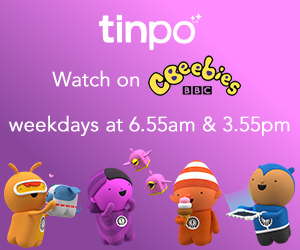 Thanks for sharing about this product which will be useful for parents and children. I had no idea that today was slim day. Looks like your kids had fun.